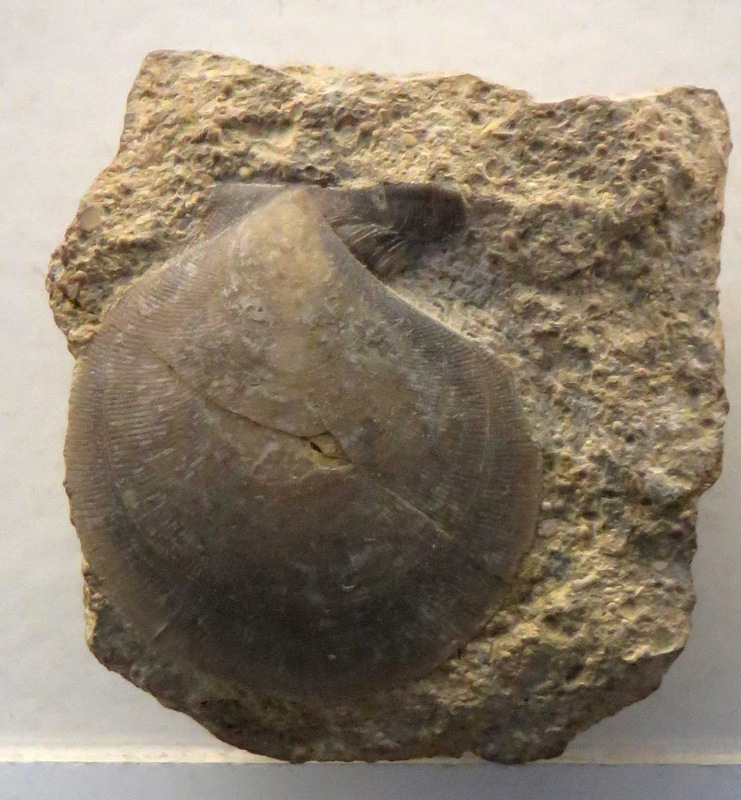 This image of a bivalve identified as Camptonectes auritus (Schlotheim). It was found in the Corallian Beds Malton Yorks. England. The fossil dates to the Mesozoic Era, Jurassic Period, Upper/Late Oxfordian stage.